First model of the Audi Prologue series of concept cars. 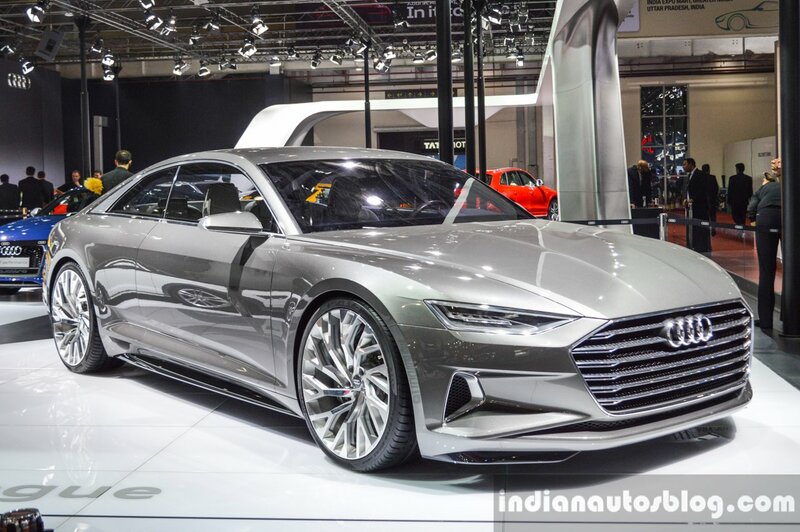 New generation 2016 Audi A4 and 2016 Audi R8 production cars aside, Audi's show-stopper at the Auto Expo 2016 is the Audi Prologue Concept. Unveiled at the Los Angeles Auto Show 2014, the Audi Prologue Concept is the first model in the Audi Prologue series of concept cars, which include the Audi Prologue Allroad and Audi Prologue Avant (estate). 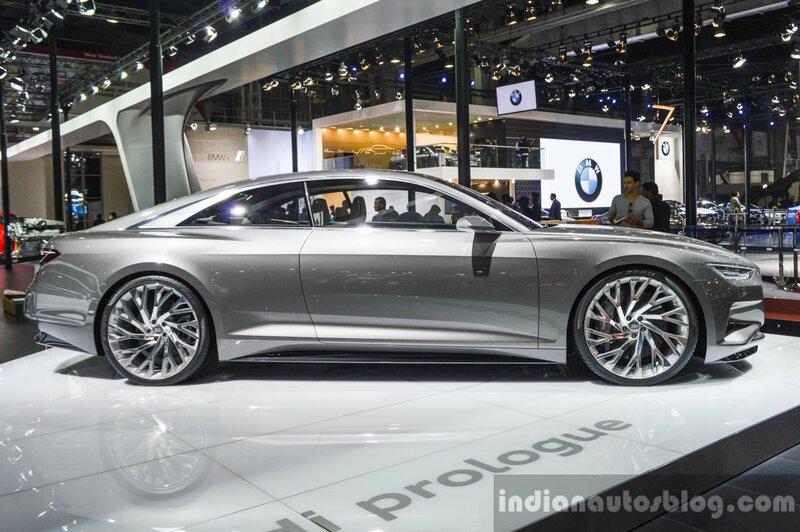 The Audi Prologue concept series is a design study, which will inspire the next gen Audi A6 and A8. Along with the expressive design, Audi is also showing-off its engineering prowess with outstanding performance. The car is powered by a 4.0 TFSI engine, which produces 605 hp and 700 Nm of torque. In overboost mode, which the driver can enable for 15 seconds, a boosted torque of 750 Nm is available. The biturbo V8 accelerates the two-door coupe, which has an unladen weight of 1,980 kg from 0 to 100 km/h in 3.7 seconds. The show car’s combined fuel consumption is 11.62 km/l. A few among the many highlights of the Audi Prologue concept series are Matrix laser headlights; 22-inch wheels with a 'five-arm' design; 2-inch carbon-fibre ceramic disc brakes; LED tail lights with housings made of 3D glass that produce 3D, sculpted effects; and OLED displays for an additional, multifunction driver display in the front centre console, and for the rear passengers in the rear centre console and on the front seats backs.